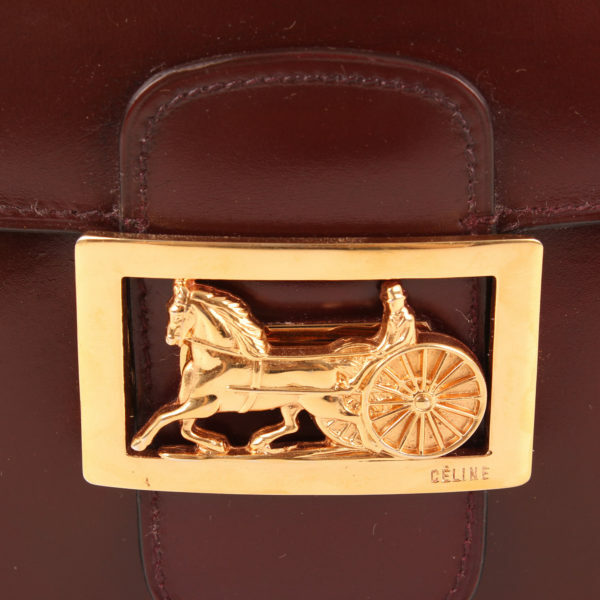 Céline Vintage Box with “calèche” clasp. 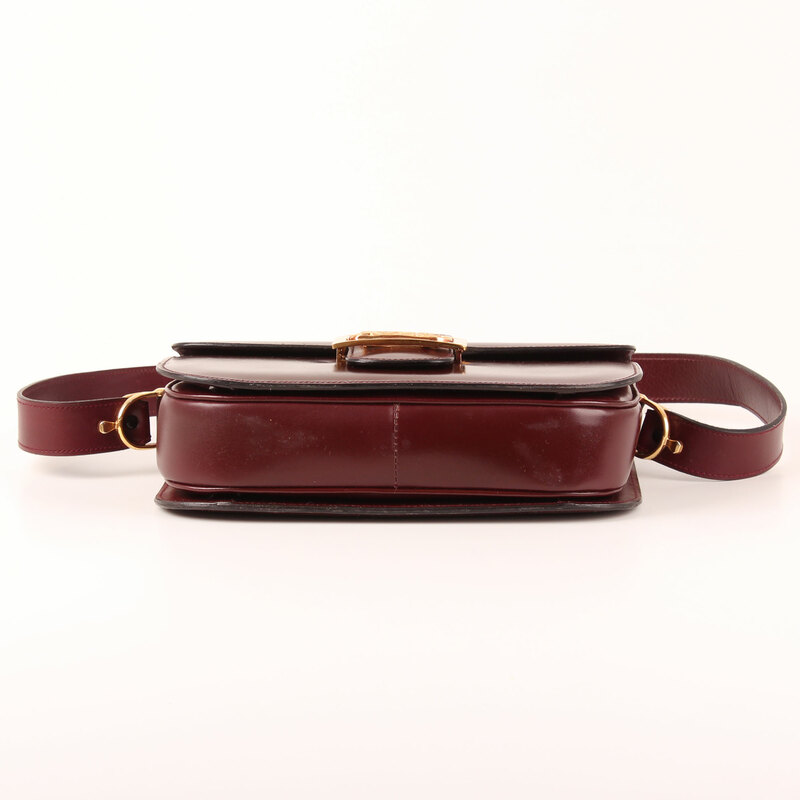 A super smart, beautiful model from the seventies with flap and golden clasp which is no longer manufactured nowadays. 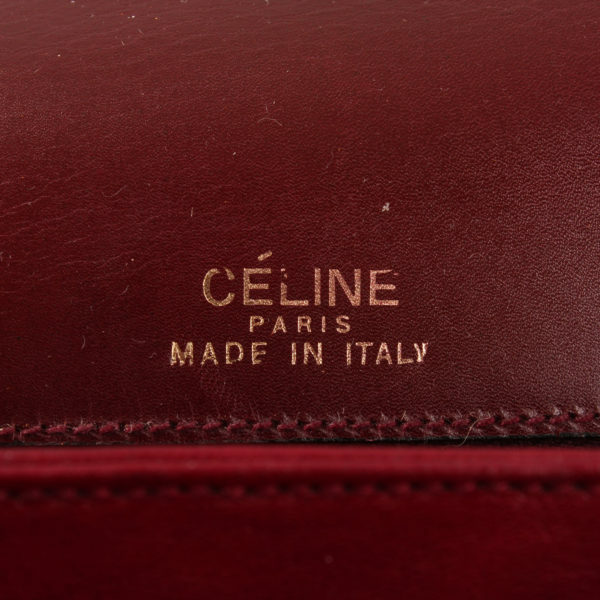 Vintage model from Céline. 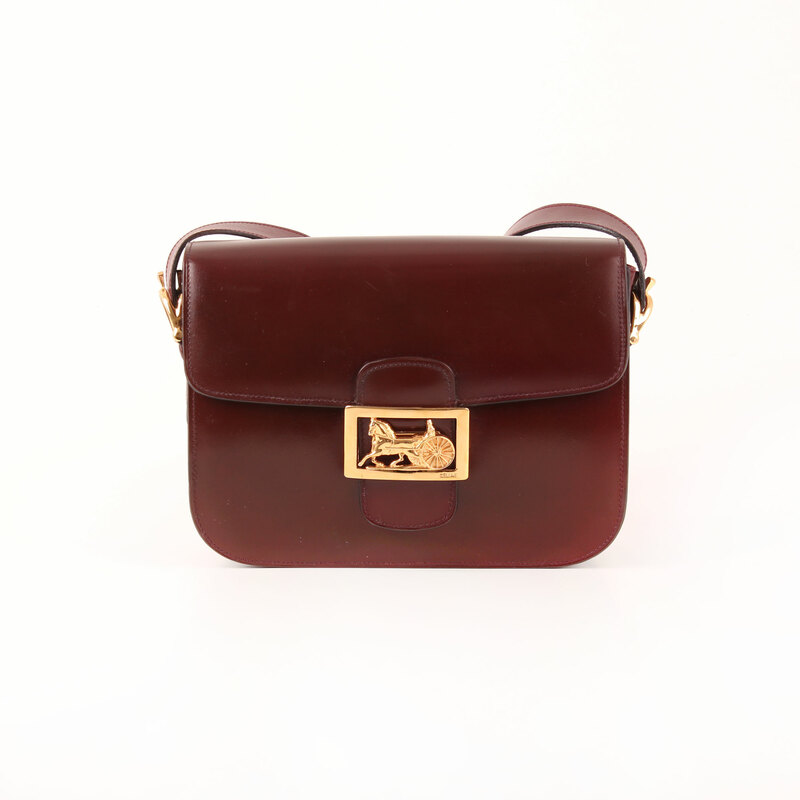 This a superb, precious bag. 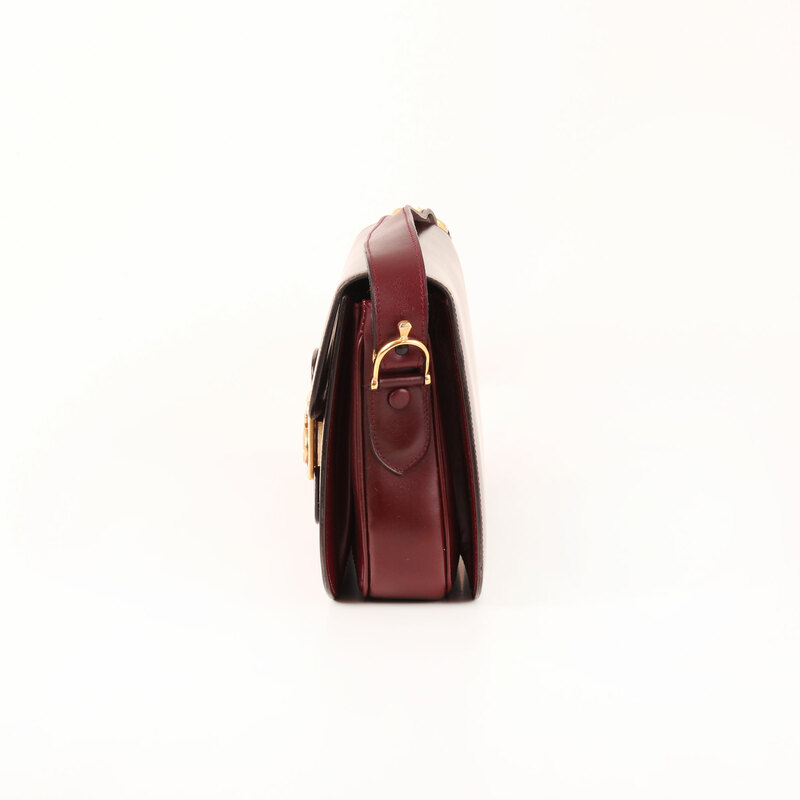 Compact, with a straigth and rigid cut, small but very roomy, all thanks to its three inner compartments. It features gold hardware, flap with “calèche” (carruaje) fitting clasp and adjustable strap to carry the bag on your shoulder. 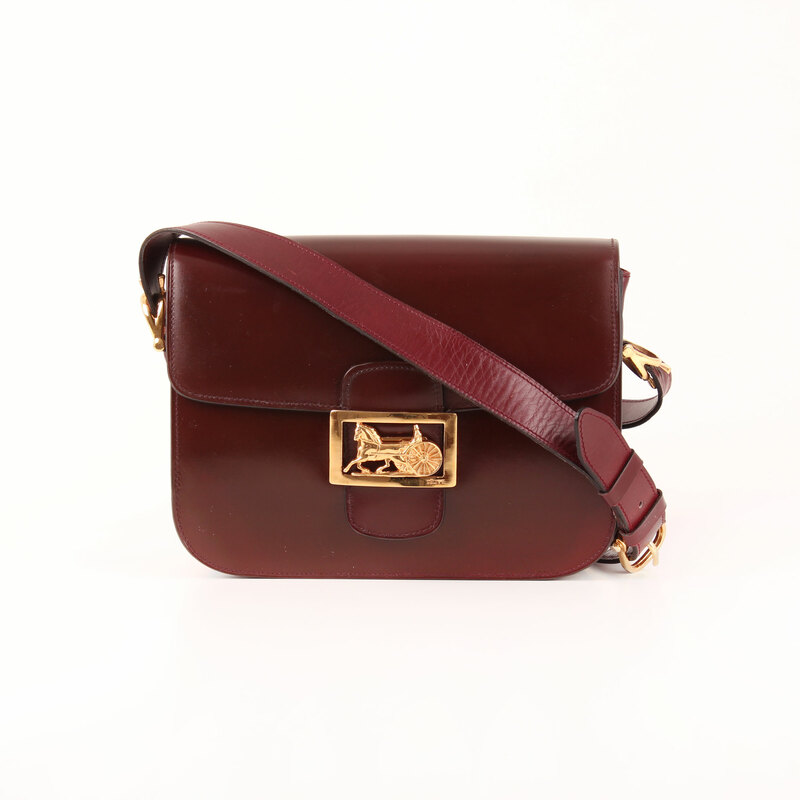 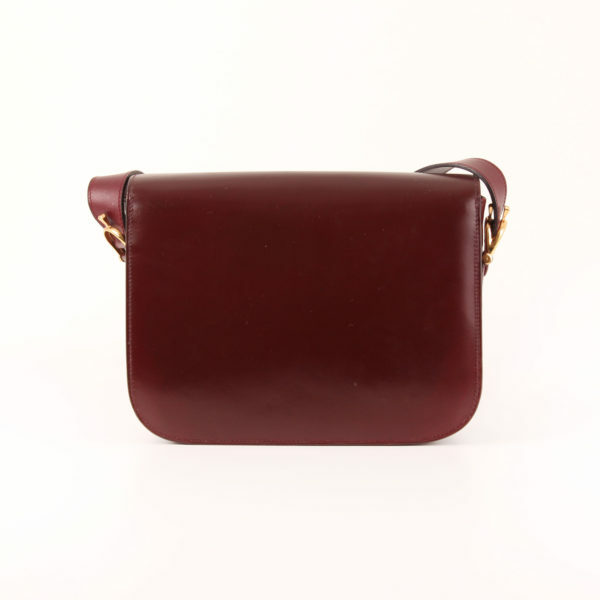 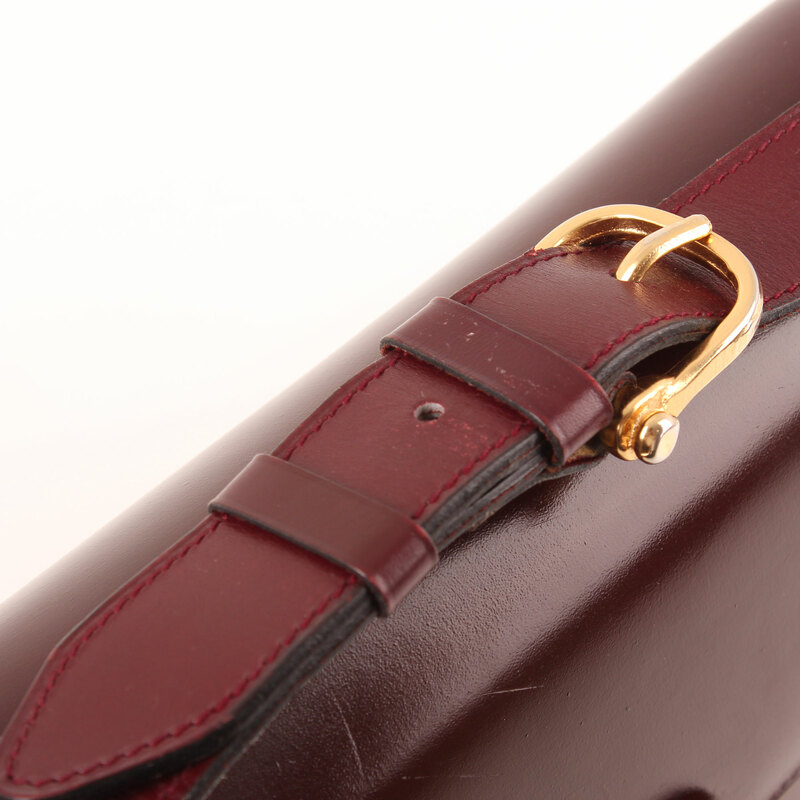 Its great burgundy color increases the beauty of this bag from the seventies. 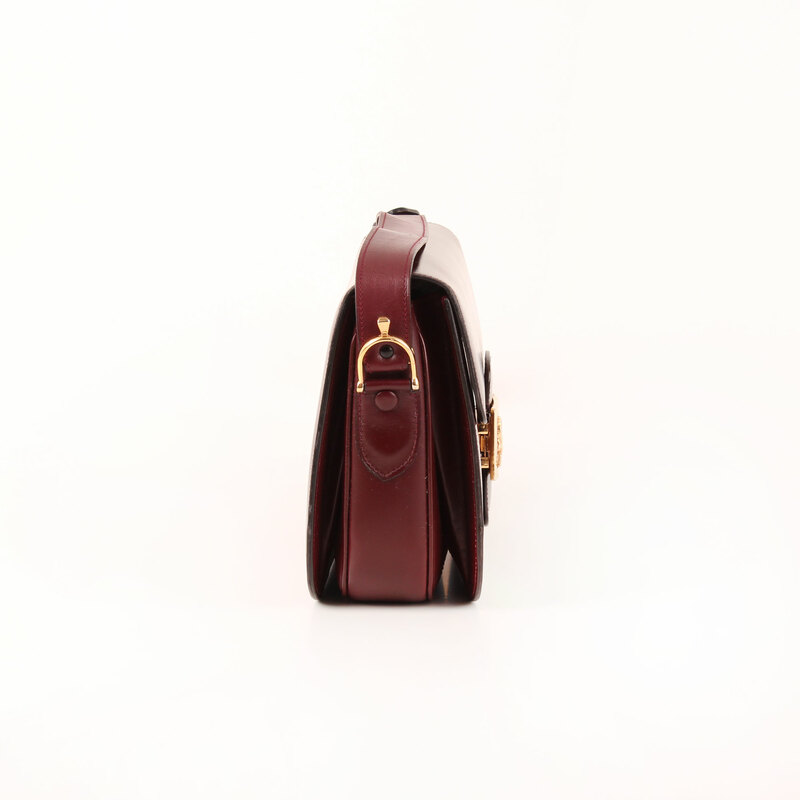 It opens accordion like and the main compartment shows two open pockets. 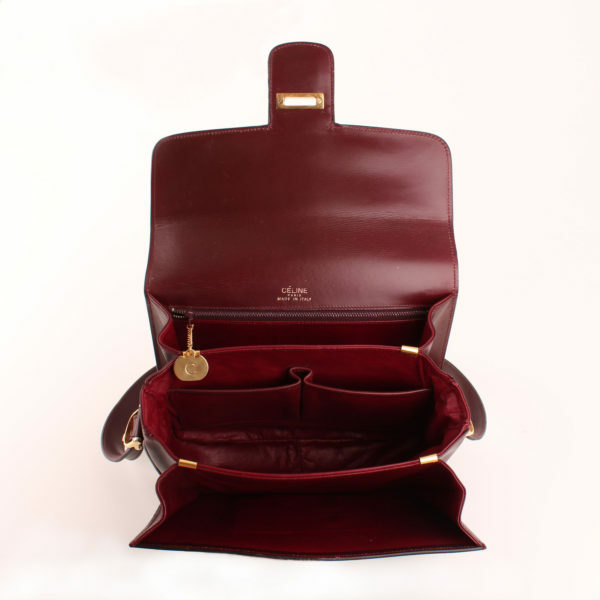 Back compartment has one zip close pocket with C pull. 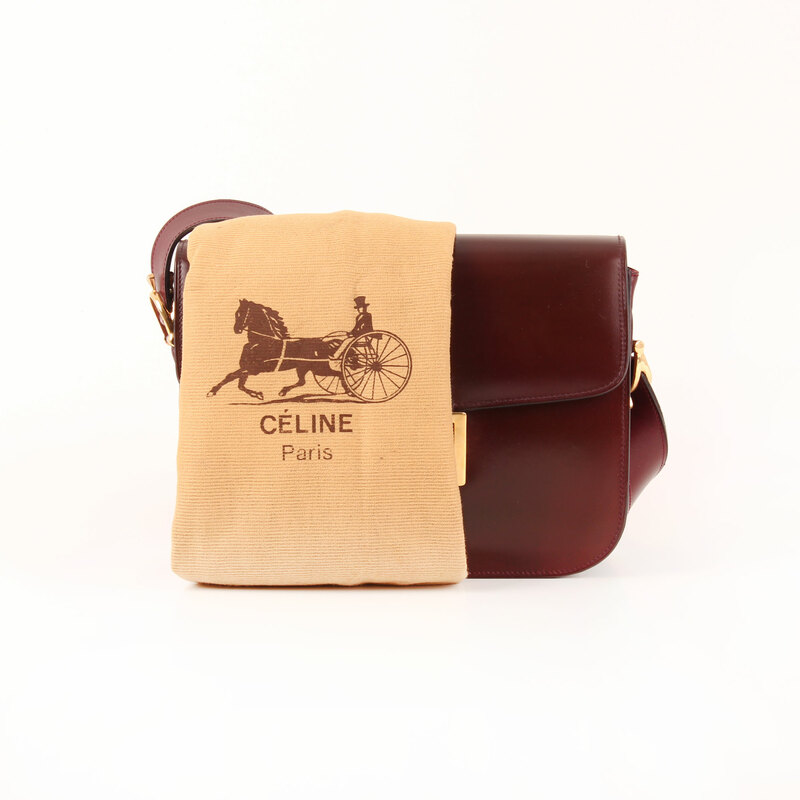 The bag comes with dustbag. 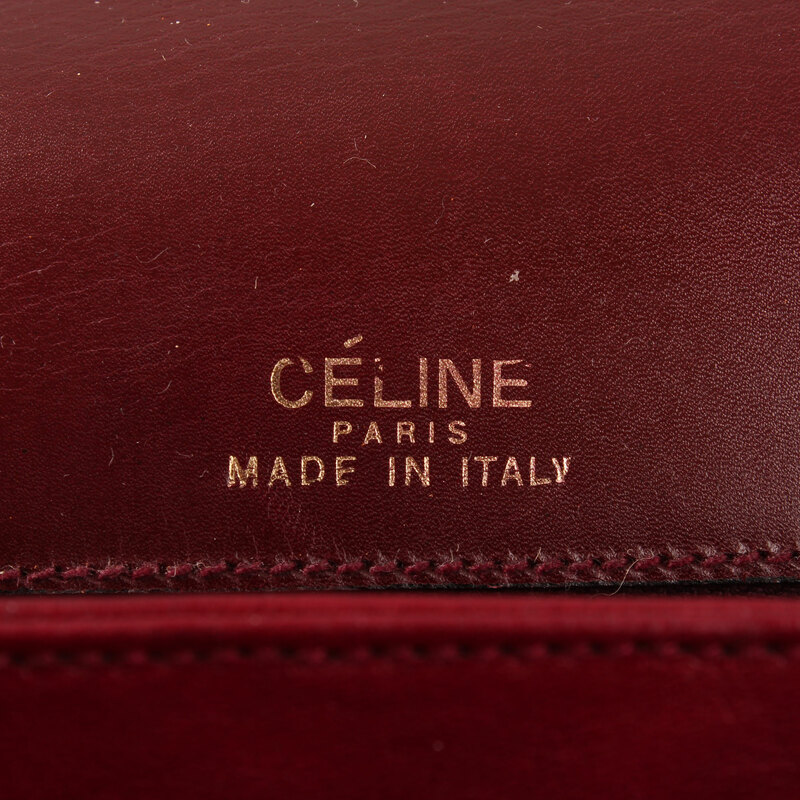 Details: Slight signs of wear in leather. Light patina.